Breaded baked chicken and pasta marinara. Served with side house salad and garlic bread. Lemon sauce, capers, and pasta with oil and garlic or pasta marinara. Served with side house salad and garlic bread. Penne pasta, marinara, ricotta cheese, and Parmesan cheese. What a great little place! When my food came, it was piping hot, EARLY, and they delivered it, instead of a bag, in the lid of a cardboard box, which felt like my food was delivered on a tray! I loved the pasta and the salad; the chicken was okay (a little chewy), but the flavors were there. The garlic knots were very good when they were hot, but when they cooled down they got a little harder. The key, i guess, is to eat them right away. The marinara to dip was so-so. Overall, I was very surprised and look forward to more delicious nights with Marcelino's. When I started using Grubhub I have some bad experiences. Didnt use it for a long time, then decided to give it another try and ordered from Marcelinos. The food was so good and the order was so easy that Ive been ordering constantly from them ever since. The food is absolutely fantastic. Every dish Ive ordered has been top notch. The deliveries have all been on time and very courteous. Great restaurant, great service, and great food. Honestly love this place so much, but make sure you call after placing your order. Twice now I called over an hour after the estimated delivery and I was told "there was a problem with GrubHub" and they hadn't even started making my food. Once you figure that out though, they deliver super quickly and have the best food. Tiramisu is legendary! I got the simple angel hair pasta plain with everything on the side, it was amazing! I never thought plain Jane pasta could be so good! Huge portion and great value! Garlic knots were the bomb! Red sauce on the side, very good as well and I don't generally like red sauce. A definite must try if you like pasta! I don't often eat pizza because of a wheat sensitivity, and usually gluten free pizza is made of cardboard and sadness. The gluten free pizza from Marcelino's, however, is awesome, crispy, delicious pizza. This place has reintroduced pizza into my diet, which may not be a good thing, but it's a delicious thing indeed. Best gluten free pizza I've ever had, hands down. It's not a high bar, to be honest, but had the delivery guy not mentioned that the pizza was gluten free I may have wondered if it was regular crust. Very impressed. Ordered two soups and a side of garlic bread. Food came really quickly and appreciated how they packed it all. Soups were really heavy on veggies - which I liked as they were fresh, but had to sift through a bit so I wasn't eating just carrots and broth each bite. Bread wasn't very garlicky, was made a ton better by popping it in the oven a bit. Killer meatball subs and tasty Antipasta salad! We are a family owned and operated Italian restaurant served family style located in the heart of Sherman Oaks County, proudly featuring Italian gourmet cuisine. Our chef Marcelino is the owner and has over 20 years of experience on the industry. Marcelino offers a menu that emphasizes food that is fresh, made to order, and prepared using authentic Italian cooking methods. 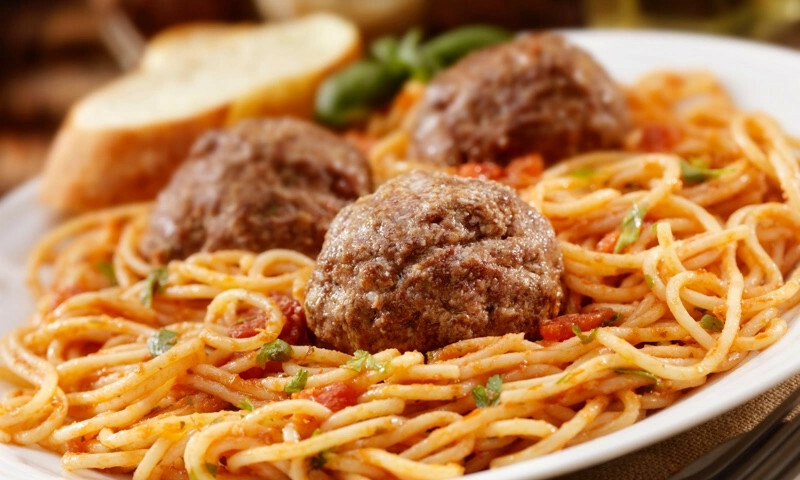 Whether your planning a romantic dinner for a party of two, a wedding, a holiday party or onsite catering for your home or business parties we are Sherman Oaks #1 choice for Italian food. For Breakfast, Lunch or Dinner, whether you are celebrating one of life's momentous occasions or just feel like enjoying a home-cooked meal, Marcelino's Italian Restaurant is the one dining experience that has all the right ingredients. We invite you to join us for a casual friendly dining experience of unique food and service that make any event a delightful and memorable experience. You have to try to believe it. Whether you're craving a quick bite or looking to treat yourself to a delicious meal, you can now order your Marcelino's Italian Kitchen favorites for takeout or delivery.